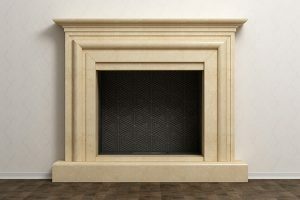 Having a chimney and fireplace comes with a level of maintenance and care that shouldn’t be overlooked. If you do have one, you may have had bees in the chimney or you have that problem right now and need a solution. Bees are a tricky pest to deal with and you need to be careful and mindful of how you go about ridding your chimney of them. We’ll go over what you need to know about getting rid of bees in the chimney so that you can use your fireplace worry-free. Before you start combating the bees in your chimney, you should know some important information about them. In order to truly beat your enemy, you must first get to know them and how they operate. First, you should know that bees are important to humans as they help pollinate as much as 80% of the world’s food supply in some way. 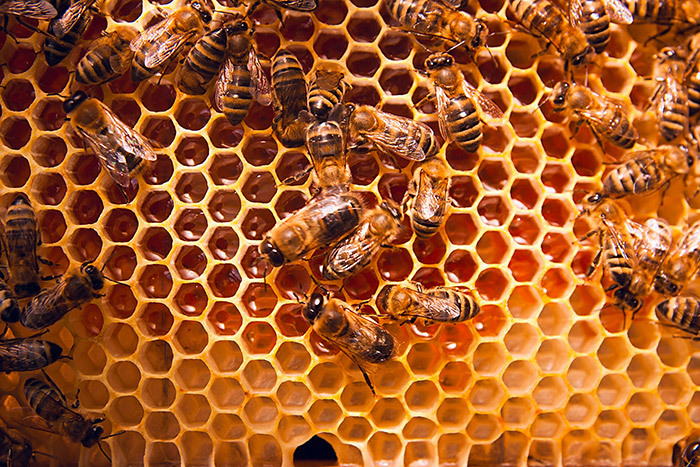 They’re not just an annoying buzzing sound that wants to sting you. Also, they’re obviously the providers of honey and bee’s wax which are two widely used products across the nation. In some areas, it’s even illegal to exterminate honeybees using certain pesticides due to the declining population. Before you act upon the bees in your chimney, you should check the laws on getting rid of or exterminating bees. One of the most important pieces of information that you should take away from this article is to not start a fire in your fireplace if there are still bees in your chimney or there’s still honey or wax remains. Failing to rid all remnants of wax and honey can cause a chimney fire the next time you light your fireplace. If you start a fire with a colonized beehive in your chimney, it’ll disrupt them causing them to panic and fly into your home. You’ll have an even bigger problem on your hands. Now that you know some important information about the bees in your chimney, it’s time to get them out of there. Don’t think you can just spray some repellent and enjoy the rest of your day – there’s more to removing bees than that. One of the first things you should do if you find bees in your chimney is to seal off your fireplace to prevent them from entering your home. You can do this by taping over a heavy duty garbage bag over the opening. 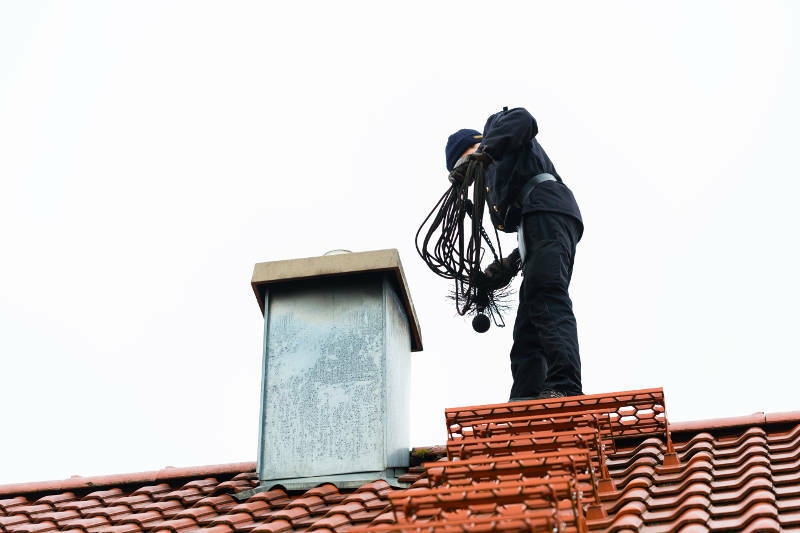 Most of the time, you’ll need to contact a professional bee removal service to make sure you get the bees out of your chimney safely and effectively. One of the main entryways for bees to get into the chimney is through the weep holes. Not all chimneys feature weep holes because of the drawbacks they have. However, older chimneys might have them still. Weep holes are designed to be able to let moisture out through the bottom of the chimney as well as provide ventilation to help dry it out. The obvious drawback is that it’s a clear path for bees and other pests to enter through. If you find that the bees have been entering through your chimney’s weep holes, you can contact a removal service as well as install insect guards over the weep holes or completely fill them to prevent it from happening again. If you notice that the bees are hanging around near the top of your chimney, you can almost guarantee that’s where they’re getting in and out and it’s where the hive is located. 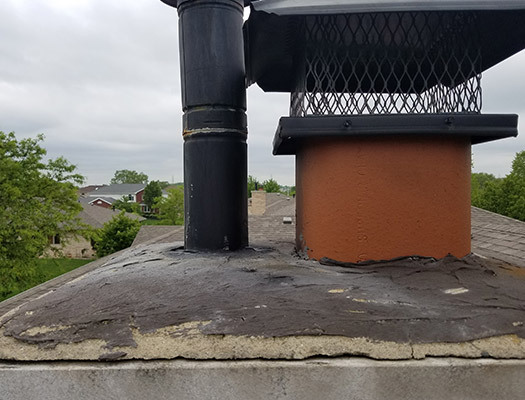 Damaged or leaky chimney chase covers, crowns or caps can all be the root of the problem. Replacing the damaged or broken component will greatly help in preventing the bees from ever coming back. You can trust a company like Early Times to provide the best chase cover or crown repair or replacement. We’ve been Chicagoland’s chimney experts since 1985. Also, since the bees are at the top of your chimney, it’s better to have a professional removal service deal with them as they have experience with being on the roof and removing bees. Obviously, getting the bees removed from your chimney is the priority, but people often forget about future prevention. If there’s still any remnants of a bee hive left in your chimney, more bees will keep trying to come back. Remaining wax and honey will attract new bees as long as it’s present in your chimney. Plus, those two products of bees can easily ignite in your chimney the next time you have a fire and cause a chimney fire. After you get the bees removed from your chimney, it’s imperative to get a chimney sweeping and inspection to totally get rid of all the bee remains. A cleaning will get rid of anything leftover and prevent bees from coming back, while an inspection will help find any causes of the bee problem. 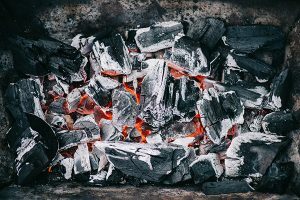 As mentioned earlier, there’s a lot more to removing bees in the chimney than simply spraying some repellent or puffing smoke through your chimney. 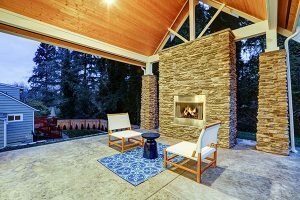 You need to find the point of entry and figure out if something on your chimney is damaged or broken, restrain from having a fire in your fireplace and cover up the opening, contact a professional bee removal service and then get your chimney cleaned and inspected to prevent this from happening again. 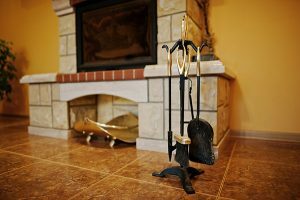 For all your chimney repair and cleaning needs, you can trust Early Times to get the job done right. We dedicate our service to keeping your home clean and safe and will make sure those bees never come back after they’ve been removed. Get a free quote online for any of your chimney repair, replacement or cleaning needs in the Chicagoland area.